The Royale deck-mount bathtub faucet is a refined addition to complete the look of your vintage clawfoot bathtub. 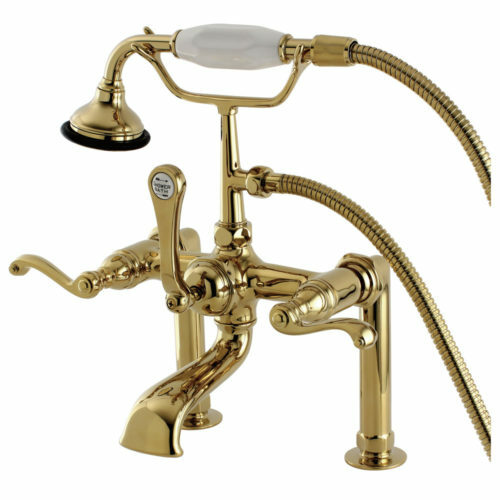 Manufactured from solid brass, this sturdy bath faucet comes in your choice of 4 finishes: Polished Chrome, Polished Brass, Oil Rubbed Bronze or Brushed Nickel. 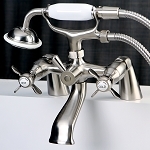 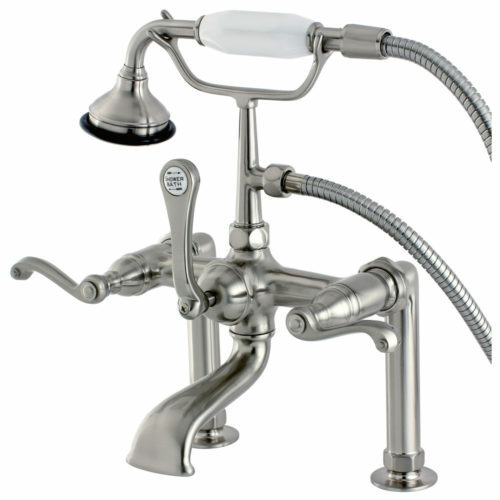 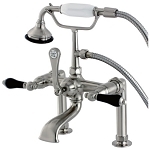 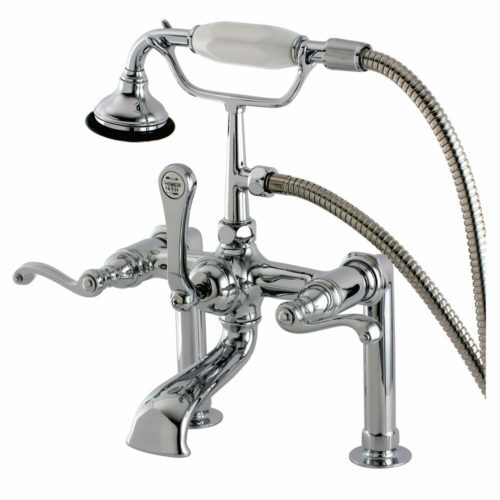 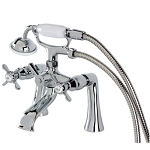 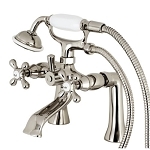 With a classic hand shower and premier Royale lever handles, this tub faucet will offers years of enjoyment and beauty.